If you’re an online shopper or run an eCommerce website, here’s news for you. According to a news report, 88% of residents in Hong Kong prefer online shopping over regular shopping. According to Nielsen, about 41% of the total online orders were placed via mobile devices. In such cases, online security remains a big question. Therefore, the best option is to opt for online security at a personal level. And what is better than a VPN? A virtual private network or a VPN adds an extra layer of security and control. And, here’s how a VPN works to provide you with online security. One of the biggest advantages of using a VPN is that your identity remains a complete secret. It is difficult to tell who’s having a look at your private data online. Especially if you are working with sensitive or personal information. However, using a VPN ensures that all your work on the computer and mobile device is safe. It guarantees complete online security as you’re streaming media, sending emails, transferring files or just browsing the internet. If you’re someone who travels a lot, you will be in constant need of a secure internet connection. Using public Wi-Fi remains to be the only option. Even though cyber experts recommend that you use your mobile data rather than trust an open Wi-Fi source. Open Wi-Fi sources do not have a strong password. Hence, any malware could download itself on your phone and infect your data without you knowing. 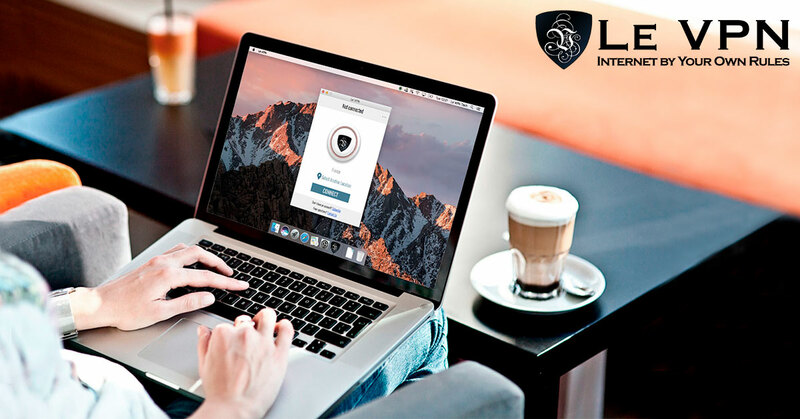 Le VPN’s VPN service will not allow a third party to access your data, which is especially helpful in situations if you’re worried about the privacy of your internet connection or the online security of your data. If you’re moving to Italy soon or learning a new foreign language – an Italy VPN can definitely help. You can access Italian music, movies, and TV shows even when you’re in another country, preparing you for your journey and stay in Italy. A VPN helps you enhance your listening and speaking skills as you listen to native Italian speakers, helping you explore the Italian culture as a bonus. A VPN will help you even if you’re an Italian resident but want to explore the world beyond. Apart from online security, a VPN is used to access online content and media from any geographical location. Le VPN offers its users from around 800 servers to choose from 114 countries. Thus, allowing you to watch online content in English or any other language of your choice. Le VPN promises you a 100% online security. It masks your online identity. Allows you to unblock websites. You can easily bypass Geo-restrictions. Share your favorite P2P files safely. Use Le VPN’s SmartDNS to unblock TV channels in the US, UK, and France. Above all, the subscription cost is not very high. Now, subscribe Le VPN at just $4.95 a month.